Sultan S, Hynes N. The Ugly Side of Statins. Systemic Appraisal of the Contemporary Un-Known Unknowns. OJEMD. 2013; 3(3) 179-185. HAIDAR, Ziyad S.. Statins in Dentistry: Game Changer or Questionable Saga?. 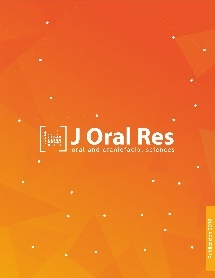 Journal of Oral Research, [S.l. ], v. 8, n. 1, p. 6-8, feb. 2019. ISSN 0719-2479. Available at: <http://www.joralres.com/index.php/JOR/article/view/joralres.2019.013>. Date accessed: 25 apr. 2019. doi: https://doi.org/10.17126/joralres.2019.013.